Ultra Safe Adhesive Remover from Professional Hair Labs is designed not to affect the PH balance of the scalp. Ultra Safe is an all natural, bio-degradable adhesive remover which protects and soothes the scalp while removing the bonding adhesive. 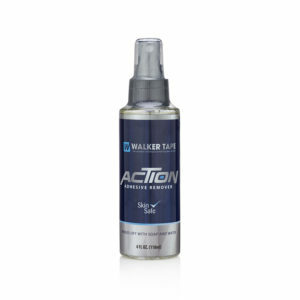 Excess sebaceous oil can be triggered by the scalp during the cleaning process which can penetrate into the newly applied adhesive causing problems with the bond. Ultra Safe Adhesive Remover can help alleviate this problem. Try it yourself to see the difference. When you need to remove adhesive residue from your scalp, you need a safety first formulation that will take care of your skin too. The Ultra Safe formula from Pro Hair Labs (PHL) has been specifically developed as an adhesive remover for skin, and is free from any harmful chemicals, toxins or other damaging ingredients. Ultra Safe has been formulated to not only be a super powerful adhesive residue remover, but also to soothe and protect the scalp in the process. As with all PHL products, Ultra Safe has been developed with safety first in mind, so you know your skin will be in safe hands every time. 1. Before showering, spray on paper towel or similar applicator. 2. Rub on scalp applying to all areas with adhesive. Let sit for 1-5 minutes. 3. Gently rub to lather. 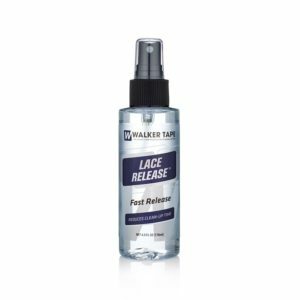 Walker Tape Lace Release Dab On from Walker Tape is a tried and tested favourite with Hair Replacement System wearers. It is extremely easy to use, quick to work and gently removes the mesh from the scalp and skin.